Godzilla: King of the Monsters, the sequel to the 2014 Godzilla reboot will have King Ghidorah, brought to life by the performance capture artist who played George the albino gorilla in Rampage. The sequel to Gareth Edwards 2014 film wrapped production last year and is currently in extensive post production. Directed by Michael Dougherty, the movie will be an important part of the Legendary’s MonsterVerse, which was further established in Kong: Skull Island. 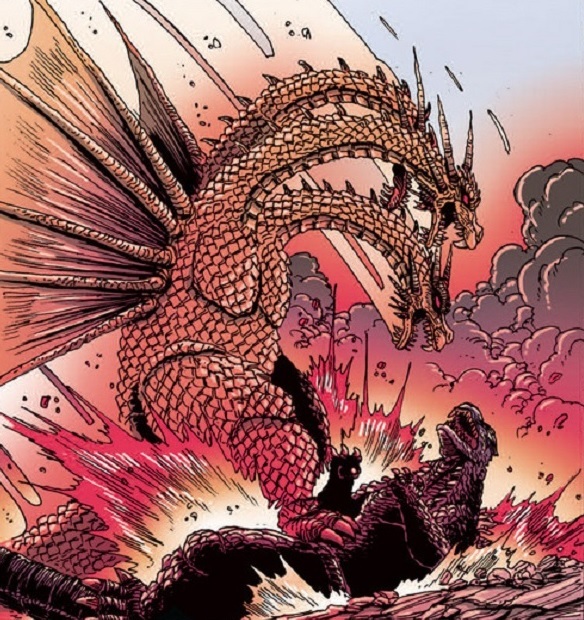 The plot is being kept vague but is said to detail the rise of additional monsters around the world, including classic Toho studio creatures like Mothra and Rodan. 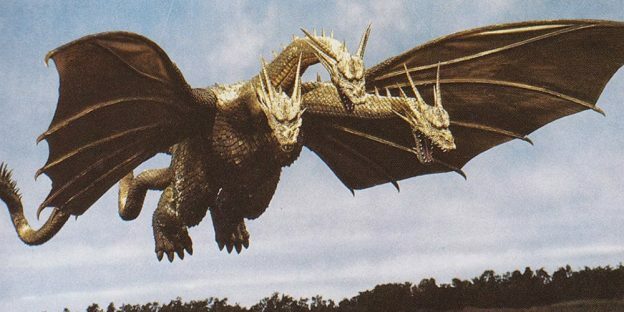 This will certainly be the case when the confirmed presence of King Ghidorah makes itself known, as the three-headed dragon has fought (and even beat) Godzilla many times in the Toho films. The Wrap reports that King Ghidorah is being played (via the magic of motion capture) by Jason Liles, along with 2 other actors for each of the heads. The actor was most recently ‘seen’ portraying George in Rampage in a performance that gave the film some of its best moments, particularly with George’s questionable taste in humor. Liles is building up a strong reputation in this field, and he has been compared with Andy Serkis (War for the Planet of the Apes). Liles also appeared as Ryuk in Death Note and has some history with Dougherty, having played the titular character in the director’s Krampus. Sally Hawkins (Dr. Vivienne Graham) and Ken Watanabe (Dr. Ishiro Serizawa) are back as the crypto-zoological agency Monarch scientists introduced in the 2014 Godzilla film. New cast members include Millie Bobby Brown of Stranger Things, Kyle Chandler, Vera Farmiga (Bates Motel), Bradley Whitford, O’Shea Jackson and Zhang Ziyi. Aisha Hinds (Star Trek Into Darkness), Charles Dance (Game of Thrones), Thomas Middleditch (Silicon Valley) and Randy Havens (Stranger Things) also have roles.